(Bloomberg) -- BT Group Plc and HP Inc. are making plans to stockpile products as the U.K.’s departure from the European Union nears, joining a raft of companies seeking to prevent potential disruptions. 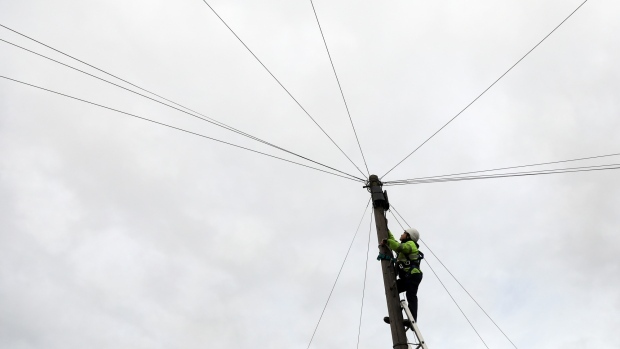 BT, Britain’s former phone monopoly, is looking at ways to stockpile network equipment, Bas Burger, chief executive officer of BT Global Services Ltd., said in an interview. HP is in discussions about taking warehouse space in Birmingham to store extra goods, said a person with knowledge of the situation who asked not to be identified because the talks are private. “Clearly we need to stockpile in the U.K.,” said Burger. Otherwise, it’s possible “we won’t be able to get equipment in quick enough.” A spokeswoman for HP said the U.S. technology company wouldn’t discuss its Brexit plans. Companies across industries have started stocking up on goods as the prospect of maintaining frictionless trade with the EU after March 2019 remains in doubt. Dutch brewer Heineken NV is warehousing extra booze, while Imperial Brands Plc is building a 30 million-pound ($39 million) stockpile of cigarettes, it emerged this week. All of the big pharmaceutical companies are storing medicines, after the U.K. government said an additional six-weeks of supply should be set aside to avoid disruption. BT is also ready and able to redirect supply chains through areas that don’t touch the U.K on behalf of its multinational clients, who include global banks and other Fortune 500 firms, Burger said. The company has been shopping for a new data protection base in the EU to allow the free movement of data to continue post-Brexit, a person familiar with the discussions told Bloomberg News in June. The plans give an indication of how technology and telecommunications companies are preparing for Brexit, after both industries have stayed relatively quiet on the issue. Many already have existing hubs in the EU, perhaps helping to ease the transition. Panasonic Corp. last month moved its European headquarters from the U.K. to Amsterdam, where the Japanese firm’s holding company was already based. --With assistance from Nico Grant and Benjamin Katz.